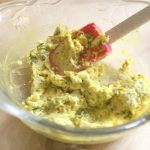 This 5 ingredient zippy sandwich spread is easy to make and takes your sandwich to a whole new level of yummy! Place all ingredients into a small bowl and stir to combine. Once ingredients are mixed well you can spread this onto any kind of sandwich bread for a tasty complement to your sandwich. Keep any leftover spread refrigerated.